Konnichiwa, Japan! Ni hao, China! And xinh chao, Vietnam! The Eurovision Asia Song Contest — the long-anticipated spinoff of Eurovision — is finally happening. On Friday organisers behind the event unveiled their official web site — EurovisionAsia.tv — along with a slick promo video that melds footage from Eurovision (fans will recognise Jamala, Måns Zelmerlöw and Sanja Vucic, among others) with imagery from Asia. This is some fusion cuisine that we are ready to devour! A blue and purple caption explains that the “Eurovision Asia Song Contest will closely resemble the Eurovision Song Contest”. Up to 20 countries will compete in an annual grand final. Among them, we expect to see the likes of Japan, the second biggest music market in the world after the United States, and South Korea, which has exported its unique brand of pop music, affectionately dubbed K-pop, all over the world. Australia, Vietnam, Thailand — we are ready to feel your sound! Why isn’t “Eurovision Asia” just “Asiavision”? 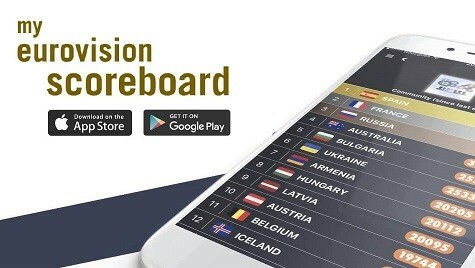 In the aftermath of the reveal, Eurovision fans have been asking an understandable question: Why not just call it “Asiavision”? The problem is that The Asia-Pacific Broadcasting Union — the region’s equivalent to the European Broadcasting Union — runs a news service called Asiavision. It’s a well-established entity — launched in 1984 — that operates in more than 30 countries, supplying news to networks including CCTV in China, ABS-CBN in the Philippines and VTV in Vietnam. Who is organising Eurovision Asia? Australia’s Blink TV — a comedy, entertainment and music production company — is one of the key stakeholders behind the competition. It has produced a variety of acclaimed programming, from quiz shows to long-form comedy series, and has worked with media brands including the UK’s Channel 4, Sweden’s SVT and Denmark’s DR. Kylie Minogue, Robbie Williams, Tina Arena — they’ve all worked creatively with Blink. But you guys will know the outfit best for their work at Eurovision, which has resulted in three Top 10 finishes in as many tries, including a jury win for Dami Im back in 2016. They recently produced the Eurovision Top 40 Songs special for SBS Australia. You may recognise Paul from the Eurovision green room, where he sat alongside the likes of Dami Im. In March 2016 SBS and the EBU announced a joint-deal to establish an Asiavision Song Contest in 2017 with the first contest being held in Australia. Asiavision is still just a tentative name. SBS has also been in talks with broadcasters in China, South Korea and Japan. The talks revealed a series of obstacles, including political tensions between the region’s three big music markets. Chinese law actually prohibits the broadcast or streaming of South Korean pop music and entertainment. That bold move came in response to South Korea’s deployment of THAAD — the United States’ Terminal High Altitude Area Defence missile system. The host city and country for the event have not yet been decided, despite earlier plans for Australia to host the inaugural edition. China was subsequently revealed as the host of the first edition, though it seems plans have changed. Clarke revealed in an interview that he was in talks with Hong Kong, Sydney and Singapore to host the show. Are you excited about the Eurovision Asia Song Contest? Any acts or countries you’re dying to see compete? Let us know in the comments box below! I thought OUR SONG would be the Eurovision of Asia. Until this news props up. Herregud! I dont like the name of the contest Eurovision Asia that even includes the non-Asian in the contest. Here we go again! I defy Australia and those Asian countries (i.e. Azerbaijan) participating the Eurovison every year. Now? Eurovison Asia which includes the Oceanian countries? Hello? Whether Hong Kong and Taiwan/Chinese Taipei will enter separately is debatable. Just checked Iraq, Lebanon, UAE are not members of the ABU. So maybe Afghanistan, Myanmar and Pakistan instead? I am so excited for this. It is great that we will be able to hear many different artists from Asia competing. I wish them all well and good luck. Doesn’t it sound ridiculous for asians to have a ‘eurovision’ in title? Were there better suggestions that didn’t make it, except of taken asiavision? Quite excited to see how this will happen. Now I’m just waiting for Afrovision and Amerivision (North and South + Island countries) to happen!! Huge Chinese, Indian and Filipino diaspora so…. Been following ESC for ages now and I can’t wait to see this. I hope my home county Philippines will join. Philippines has abundance of great singers and there’s no doubt Filipino artists can sing live come competition night! ?
? Lol of course I know that but in the end of the day, who perfoms and sings the song well tend to do better than just spectacles, lightlings, productions, fireworks etc. I don’t care about women rights, because women have a voice, I care about the voiceless, the animal rights. Does China still has the Yulin Festival? Please search at least for 5 seconds. Kasia Mos is that you? This is for the voiceless?? I hope the Arab countries stay out of this considering how backward they are socially. Also, I hope there will be a televote. xenophobia has no place in eurovision too. i hope you stay out. Lol south korea is gonna smash the other countries so hard. Just wait and see until Bangladesh wipes the floor with everyone else. Lol south korea is smash the other countries so hard. I hope Australia will host it first. They’ve been watching Eurovision for decades now so they know what makes it a great show. No offense to South Korea but their ABU TV Festival was boring..! would rather watch a Kpop music program honestly. There was one! OTI Festival. It’s gone though (oh, and the U.S. won twice). I kinda just want one where the American states participate. If Asiavision were to happen,this competition would be better suited for Turkey and Lebanon. Turkey in EASC won’t have to worry about automatic qualifying big a Big 5, at least for the first year. As for Lebanon, their artists will get a chance to shine without Israel in the competition. ikr? what’s gonna happen to them? Without Australia the comp won’t happen. Probably won’t happen, although the Asia Pacific region is better than elsewhere on the continent. But that’s another reason why I hope Australia gets to continue with ESC. The countries eligible for Eurovision Asia span 11 time zones – almost half the world! For example, when it’s 11pm in Auckland, it’s 3pm in Dubai. So there’s no way that the contest would work as a live broadcast. They’d probably have to use some sort of voting system like what JESC does, with juries and online pre-votes. I’m so interested with how this will work. There’s a lot of chatter about K-pop, but obviously there’s no much more to the Asia-Pacific region than pop from South Korean. Hopefully the show will expose audiences to different genres of music. I’m not confident that those Middle-Eastern countries will participate. Maybe Turkey and Lebanon, but other countries like UAE and Qatar won’t show the whole contest to the public (at least not “everything”). I think you’re mistaken in that. Qatar and uae are a bit like azerbaijan and would probably throw in much efforts to win so they can show off their countries. Frisian – well, Qatar stole the 2022 World Cup through bribery and Azerbaijan are known cheaters at the Eurovision, so I guess the real competition is “who has the most money”? Sad. well, I just did a small research on Wikipedia about women’s rights and I have to disagree. However, I do believe that they will make efforts to win just like Azerbaijan did (2009-2013). The whole logistical nightmare of this is so ambitious that it makes me wonder about BlinkTV and how they will handle it. Do they really have the capabilities? I think maybe we are imagining this on a par with the modern day Eurovision, and perhaps those expectations are a bit unrealistic. Yeah I wonder how this is gonna work with the timezone differences. Asia is just so big and vast there’s Middle East, South-East, Eastern mainland and Oceania(AUS & NZ). I hope the nearby Pacific Island countries will compete as well like Fiji, Samoa and New Guinea so I can hear some tropical inspired music. I feel like it’ll be broadcast live when it’s 8-9PM in the Singapore time zone as 90% of the participants will live there. I can’t see the Arab countries participating: too conservative. Televoting is ESSENTIAL, otherwise the contest will never take off. The public wants to be involved. It’ll likely just be everything East of and including India. If this contest were to materialise, there is no way that the Middle East, South or even Central Asia would be allowed to participate- especially as the first group can make the case for ESC participation. It seems like it would be just be for East/South East Asian countries. Otherwise the political chaos of having these countries participate would make Ukraine and Russia look like Greece and Cyprus. Ok, I have to say I haven’t thought about it!! How can they broadcast it live with all these time zones? Thanks @Robyn for pointing that out. I’m already curious to what a country like mongolia would send. I don’t think my country is gonna compete ‘cuz China is in this. If China has problems with so many countries then they’ll probably have to stay out unless they find a compromise. I also want to mention the situation in the middle east, to which many of you refer in the comments. There’s even more tension in the region, some countries are at war there. If it’s Eurovision Asia it can’t be only the East part of Asia and Australia? You can’t have only China, Japan, Thailand and some other countries of the region. 1. Yes, it’s Australia’s idea. 2. Well, If Armenia and Azerbaijan managed, I believe China and South Korea can participate since the relationship between these two are far more positive. I think this “Asianvision” won’t be like Eurovision. There won’t be much interaction between the participants before the contest. Also, the competition will probably be much tougher (If the idea works, ofc). Politics could also get much more involved, like with the ongoing “South China Sea situation”. Well. Looking forward to see how this evolves. But how do they define Asia? With the Middle East too? They classify it as members of the ABU. So there are 42 countries who are invited; this includes countries in the Middle East such as Iran, Jordan, Saudi Arabia, and Qatar. If it takes of Australia will only do the Asia pacific, but for now we will support both. Can somebody tell me if India will participate?? And if there will be a language rule applied?? Over 60 years of tradition must stay like ist is … Thats my oppinion. You realize that nothing about the Eurovision will change? No one is forcing you to watch the Asian version. Keep in mind that the Eurovision that you followed for 60 years is still there for you. It’s not going to change or stop. I feel so alive! Thank you to all the people who actually made this happen! It doesn’t say this anymore. When the host country is confirmed, the ABU will announce it through their official website. Leave China out, they are thorn in everyone’s side.the fact that they don’t even have a venue yet is problematic, blink TV does not have the money for this and without the money it won’t happen. It will not work because unlike Europe political tensions in this part of the world are worse, can you imagine China not winning and losing to Japan etc.. World War 3 would happen, also the music is is not transportable. I will believe it when I see it. Honestly, I think people are getting so caught up with the semantics of the name. ‘Eurovision’ does indeed have the prefix ‘Euro’ coming from ‘Europe’, but I feel that the term ‘Eurovision’ has transcended its etymological meaning and now has a significance of its own. To me, ‘Eurovision’ doesn’t mean ‘European Vision’, but rather ‘international song contest of wonder, joy, and occasionally sass’. Well…actually “Eurovision” doesn’t even refer to the song contest exclusively – it was/is the broadcast network that carried the show to the whole continent, and there is much more to it than just the annual Eurovision Song Contest. If you were watching the recent World Athletic Championships from London, you would have seen the Eurovision logo all along the trackside, for example. If this Asia contest is carried by the Eurovision network, then the title makes sense. It’d be great to see all of them competing. Asia is such a diverse continent musically, I think it’d be great to see them. Can Azerbaijan be moved to this new contest too, please? I’d like to see them mess with China, North Korea in the same way as they cheated their way to victory in Europe. Actually the fact that Blink TV rather than SBS are the Australian stakeholders suggests that Australia can continue with esc! Hm, they’ll probably be competing in both contests – which makes it all the more ridiculous. When the talk about an Asiavision Song Contest started, it was speculated that the winning country would receive a guest slot in the ESC, so maybe this will be Australia’s qualifying ticket from now on. What’s so bad about that? Don’t some Eastern European countries do ESC and Turkivision too? Oh dear, we don’t know if we ever gonna see that day. TVRI never updated their program since the 70s lol BUT, no worries. RCTI, Metro TV, MNCTV are also full members of the Asia-Pasific Broadcasting union..So i hope one of them would wanna go forward and send a participant! Loved seeing Iveta in the promo clips. Ughhh I wish she opens the Asiavision with Lovewave. So, first of all: They are certainly not going with the brand name “Asiavision” ? I have to admit that I’ve kind of already gotten used to it already :/ Honestly, it would be a much more suitable name than EUROvision Asia. Second: I believe we can all agree that South Korea will pretty much be Asia’s Sweden in this competition. Considering the incredible success and fame K-Pop idols experience all over Asia, I see no chance for the rest of the acts to keep up with them (if South Korea decides to go with K-Pop idols, of course). Does this mean that Australia will no longer participate in Eurovision? As much as I love Jamala and Salvador, enough is enough. Next year we need a summer hit otherwise Eurovision Asia will be above Eurovision. Imagine Psy-‘Gangnam Style’, Asia will crush us if we don’t wake up from this melancholia (1944…Amar pelos dois). A little friendly competition between the franchises will make them both better. I hope anyway. That EurovisionAsia promo video is slick and suggests the contest will be fab too! You’re actually implying the asian music scene is only about things like PSY and summer hit type of songs lol as an asian you’re sooo clueless, we love ballads and love to sing them, and kpop can have ballads too. Do some research about asian music scene before spitting nonsense. and i mostly bet this will flop, because everyone prefers the original, europe is always superior in asia. You can only be crushed if you sing hit dance songs… ? you know nothing about good music. I’m actually laughing because you’re so scared XD i didnt know some europeans had such low self esteem. My gosh, go to the club and put britney spears on, weirdo. Godney Jeansus Spearit’s bonus tracks alone destroy your fave’s entire discography so don’t try to use her to shade. It really doesnt, especially if you see her on stage as i did recently LOL not trying to shade, if this hurts your feelings then im sorry, truth hurts. It’s obvious that this Eurovision Asia will have more uptempo songs. Just remember that the public in 2016 voted for Sergey Lazarev anyway, so next year we should have a banger winner! As long as people keep voting for singers/their background stories/ countries/stagings in ESC ….there is no way for ESC to expand. A winning song with longevity can only help Eurovision grow. Not songs winning due to sympathy votes. sympathy votes wont make a song win(Poland 2015, hello? ), as much as some people are still butthurt about their acts not winning. As long as people keep voting for their neighbors, there’s no way for ESC to expand. Fortunately this year, a song with longevity won for the first time in years, not clown acts that are used to winning thanks to their neighbors voting for each other, but no one whines about that…hypocrites. That’s cool. But please don’t call it EuroVision-Asia. I already can see Eurovision and Eurovision-Asia become semifinals for WorldVision. I would hate that. It would seem like the actual Eurovision was only a heat, and that would take away from the winner’s victory, especially if it went on to lose at a “WorldVision”…I hope that is not part of whatever grand scheme the EBU are cooking up. People will cry in any case: if you extend eurovision people will cry that it’s not about europe anymore and if you create a spinoff people cry about other reasons such the ones you stated. Let them try, they’re professionnals, they are integrating political issues in this, and if it doesn’t work out, then it will disappear, that’s it no reason to freak out. Consideirng next year, we’ll have the Asian Games happening, we can safely assume that politics won’t make a dent on anything pan-regional. Israel is not that important in Asia. It will not be fair by letting one country in and many countries out. And, Israel is more Europe than Asia anyway. The “Music Scene” section of the official EurovisionAsia.tv web site mentions a group from Dubai…so I don’t think that Middle Eastern countries will be left out. I do hope they don’t call Eurovision now , Eurovision Europe, I just know this will flop. Wait till 5 years in…. Why would they change the name? It doesn’t make sense. People are freaking out for all sorts of stupid reasons. I’m very optimistic about Eurovision Asia, and they don’t need 60 years to do it right. Eurovision as we know it is very young. Totally agree. Australia has had some very nice Eurovision entries and the same minds will be working on Eurovision Asia. Surely that’ll lead to success.